As if raccoons wreaking havoc and digging stuff up above-ground isn't enough of a hassle, I also have moles. They used to be confined to the beds, but have recently moved out into the lawn. "I knew I should've toined left at Albequoiquee!" What monstrosity, or just plain minor annoyance, is bothering you in your garden this week? Tell us about it. Ugh! What a pain in the grass! On the bright side, your lawn will be aerated free of charge. Ha! Those Bugs Bunnies! All kinds of ugly over on my blog today. I've sense gotten out there and cleaned it up, but didn't take any after photos. 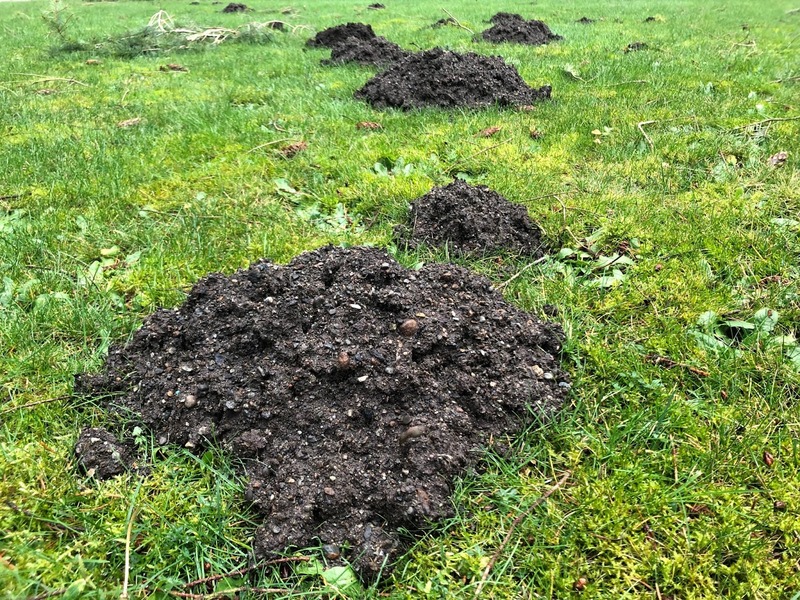 We've had fewer moles since we resorted to poisoning the lawn grubs. Evil vs evil. My neighbor has ongoing problems with gophers and I live in fear that they'll tunnel over in my direction. The blasted asparagus fern is still giving me fits - I think the roots took advantage of our recent rain to stretch into adjoining beds. I'm so glad these little SOBs are not visitors in my garden. Snails,they are my challenge. Like you I'm plagued by moles, living next to a farmer's field it is inevitable unfortunately. Normally they are not much of a problem but all this summer they never stopped, 10 or 12 new molehills every day, the lawn will never be the same again! I can't imagine why, but somehow we have escaped this plague so far. We do have squirrels that dig mercilessly in my beds, especially after I have disturbed the soil by planting something. They are my nemesis. Fingers crossed moles stay away from our "lawn"; I have certainly seen evidence of them in the neighborhood. That looks bad. I guess I shouldn't complain too much about my rabbits and squirrels. Yikes. That's bad. We have them here (I occasionally see one scurrying by around sunset) but they don't do much damage. No lawn I guess is why. I think gophers are my arch nemesis, so I wish you more luck with your moles! I really should join this meme... I have plenty of things to show!